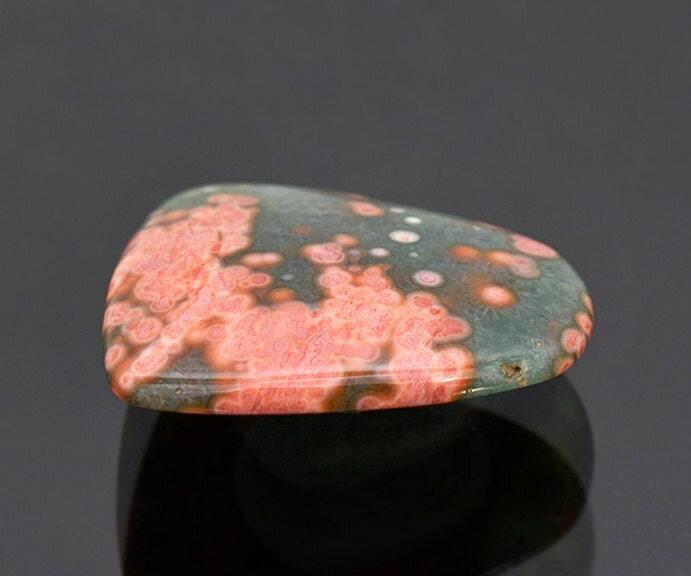 Beautiful Pink and Green Ocean Jasper Cabochon from Madagascar 13.68 cts. Size: 23.63 x 20.25 mm. 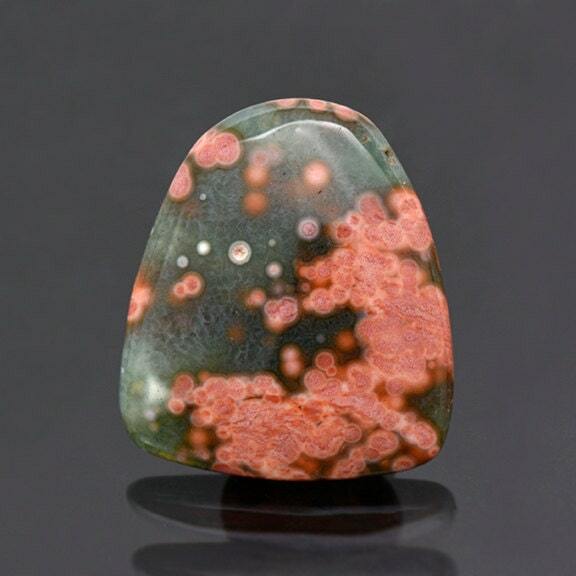 Ocean Jasper is a unique and fantastic material. It comes from the North West corner of Madagascar. 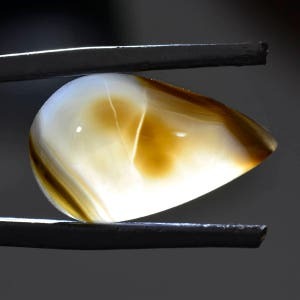 The material is actually a mixture of Chalcedony and Jasper. 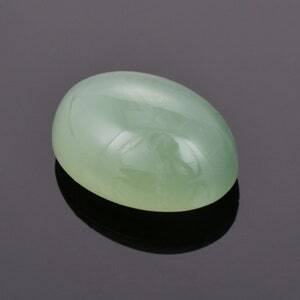 The green sections are typically transparent, which is Chalcedony, and the spherical orbs are opaque, being Jasper. 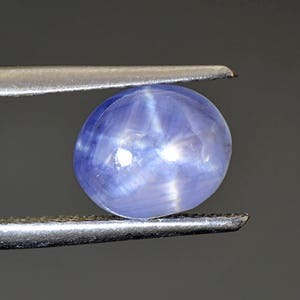 The draw and collectability is the combination of these orb formations in the chalcedony. The patterns that come from this material are distinctive and wonderful. The material is durable and takes an excellent polish. 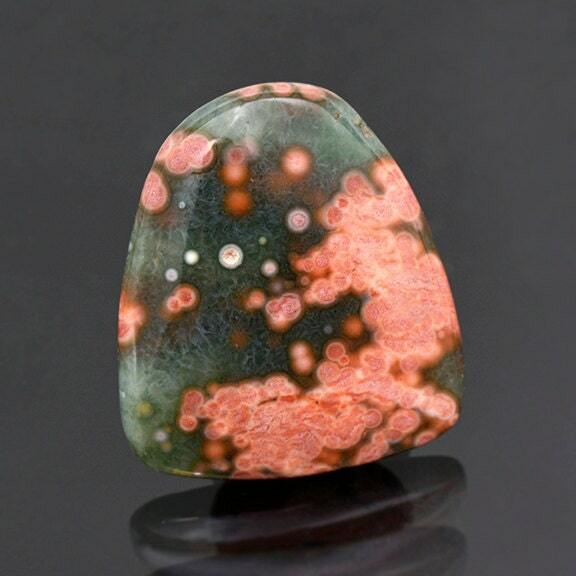 This piece features some gorgeous green Chalcedony with bright pink orbs of Jasper spread throughout. 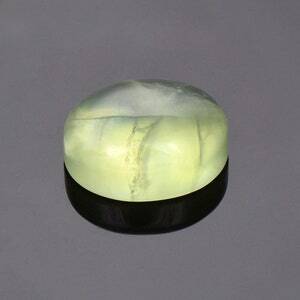 It will look fantastic in jewelry, particularly a pendant! Enjoy! Pretty Black Widow Agate Cabochon from Mexico 15.30 cts.